The weather sure has been a wild ride so far in 2017. The huge piles of snow (here and here) have given away to swollen creeks and rivers. The implications for hiking both around Mount Shasta and throughout Northern California remain to be seen but it is a surety that several trails will be impacted. 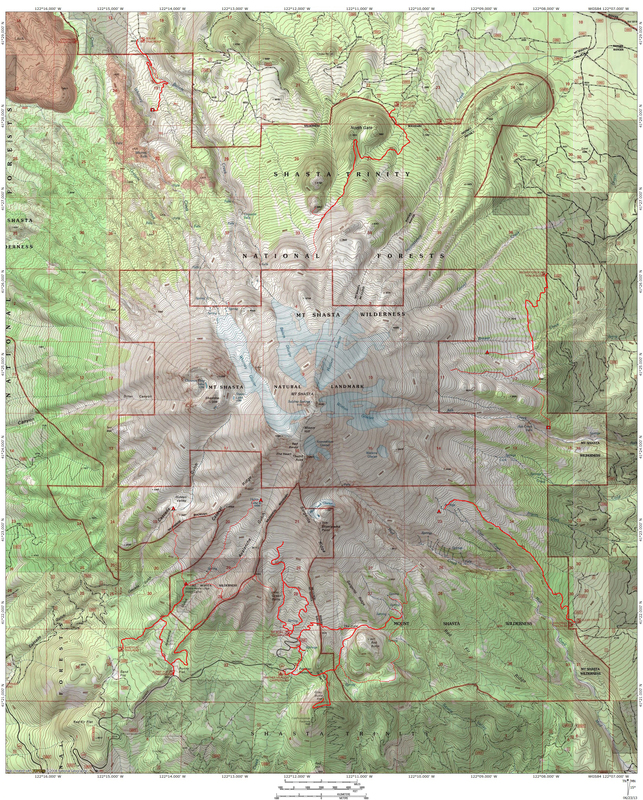 Here in Mount Shasta, the most obvious one will be the Lake Siskiyou Trail. The Sacramento River has been notoriously busy the last few years as it continually reshapes the landscape at the Lake Siskiyou inlet (see examples here, here, here and here). The flow into the lake right now is larger than any that changed the landscape the last few years so it will not be surprising to see some significant changes once again. Also, I should point out now, that with the sunny weather in the forecast, the north shore section of the Lake Siskiyou Trail will be a perfect place to go for a hike. It is snow free from W.A. Barr all the way to the inlet. With the high water and the raging river, it is a particularly interesting time to hike the trail. Of course, the big news right now is the Lake Oroville situation. This has been particularly fascinating to me, after having read Reisner’s Cadillac Desert several times (not my normal subject matter, but I have been toying with writing some posts on the book and related subjects. Such thoughts seem a little more pressing now.) The footage of the spillway is spectacular and terrifying. I would encourage everyone to check this amazing footage out. While the situation at Lake Shasta is not dire like it is down in Oroville, it is still pretty exciting. As I write this, the largest reservoir in California is less than 7.5 feet from cresting. Check the water levels at Lake Shasta here. They have been releasing water from the dam already but if the water is sent over the spillway (essentially the top of the dam), it is going to be spectacular. Here in Mount Shasta, it should come as no surprise that the rivers and creeks are all incredibly full and water is flowing everywhere. Among the most notable sights was the water spilling over the Box Canyon Dam. I am posting a picture of it here but you can find a good video of it on the Hike Mt. Shasta Facebook page. The McCloud River is harder to get to but the falls there are also quite a sight. Little Hedge Creek Falls is also fearsome. These days I guess it is feast or famine when it comes to water. After a pretty miserable drought, it is nice to be feasting for a time. I want to add a few images to give a sense of just how much water we have been dealing with. 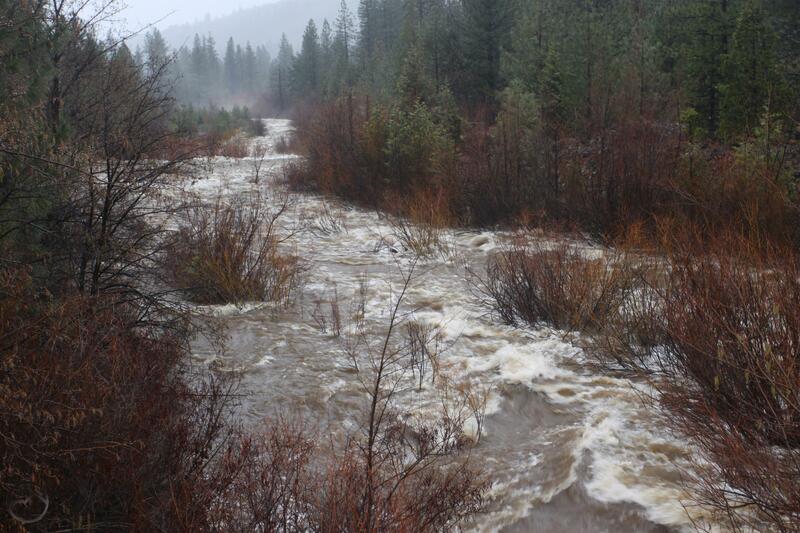 The Shasta River surges through the Shasta Valley. Sacramento River inlet into Lake Siskiyou. The Sacramento roars into the Box Canyon. The awesome spillway at the Box Canyon dam.